BEAUTIFUL OPEN FLOOR PLAN, CHERRY CREEK PUBLIC SCHOOLS, BACKS TO OPEN SPACE, THIS IS THE ONE! Upon entry you will be greeted with high vaulted ceilings and beaming hard wood floors. This home features 4 beds, 3 baths, formal dining or living room and over 2500 finished square feet. Kitchen features slab granite countertops, 42" cabinets, large island, beautiful tile backsplash and stainless steel appliances. Step out back to your peaceful serenity of open space and enjoy a drink on the extended back deck! Feel like going for a walk or run, then jump on the cherry creek trail that is just steps away! Upstairs features a large open loft that can easily be converted to an additional bedroom if needed. Walk down to the full sized WALK OUT basement that is waiting for your personal touch. 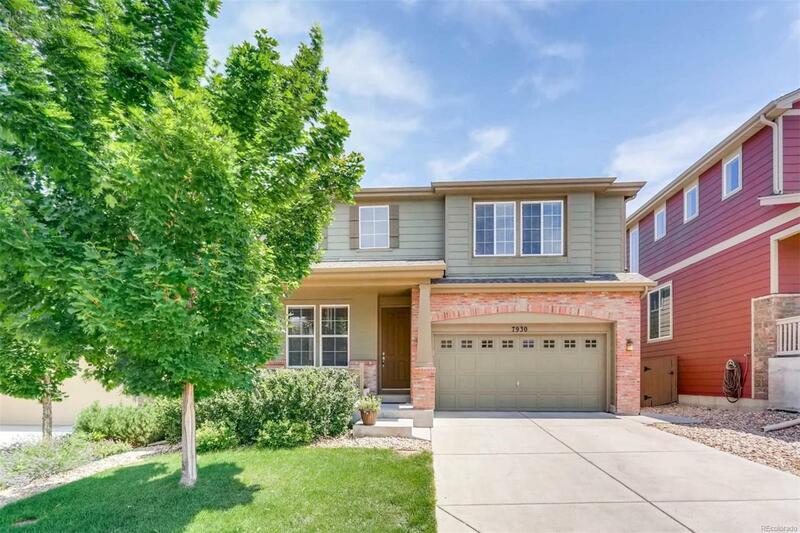 This home is perfectly situated at the end of a cul-de-sac and is only 15 minutes away from DTC and Park Meadows!Schedule your showing today because this one won't last long! Offered by American Home Agents.